Brief travel glossary in text and audio with most important phrases. This is meant to be a handy travel companion for anyone who travels to an Arab country with a touristic purpose. When I began traveling to these countries, I purchased many (rare and expensive) phrase books and dictionaries that I never really got to use on my trips. Usually, the reason was either that they were too extensive for me to find the simple things that I needed to communicate, or that I just plainly could not make much of the transcription and was thus unable to pronounce the words. To avoid these problems, I have composed this brief travel glossary with the most important phrases to get around, and a short voice recording of all the Arabic words contained in it. In my opinion, a tourist does not need an extensive list of vegetables, animal species or mechanics tools. Nor does it help him or her to have thousands of set phrases. After all, how could he find what he needs if he has to flip through a hundred pages before being able to react to a situation. On the other hand, we all feel comfortable when we can have some limited conversation with the locals, if we know that we could get around by ourselves if this was required. I think this glossary serves this purpose. 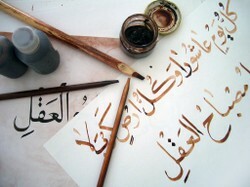 The form that Arabic takes differs from country to country, even from village to village. I have opted for the form called “Modern Standard Arabic” here, since this is understood everywhere. You may not always encounter the responses recorded in this companion. So, for examples, are greetings different in Egypt and in Iraq, or in Morocco and Jordan. However, if you use the Arabic phrases that follow, you should be able to make yourself understood anywhere you go. Caution though: in certain remote areas people only understand local languages, or may not have the necessary education to understand Modern Standard Arabic. I would be happy to receive your comments about this glossary, maybe even reports about experiences made while using it. One of my experiences with using the Arabic during a recent trip to Egypt can be found on my wizzley page. Read it! You may be inspired to be bold and talk to whoever you encounter on your trip in the locals' mother tongue.